If your IVR fails to get important information across quickly and concisely, your practice could be at risk of losing current and future patients. Medical marketers already know that investing in digital and non-digital advertising campaigns is essential for driving new patient referrals. What they might not realize, however, is that optimizing their practice’s interactive voice response system (IVR) could be the deciding factor that determines whether these marketing efforts are ultimately fruitful. Utilizing an IVR in your practice might seem like a no-brainer — after all, a streamlined IVR system is a great way to usher patients toward the resources they need, with minimum hassle and next to no wait time. But if executed ineffectively, it can also be the surest way to lose new or existing patients (and therefore revenue): according to a recent poll from Engage, 80% of respondents indicated that they would no longer patronize a business following a negative IVR experience. And, since 70% of consumers will share those bad experiences with friends and family on- and offline, a poorly designed IVR system could have a seriously detrimental impact on your medical practice. The people calling your medical practice will generally fall into three categories: new patients, existing patients, and miscellaneous salespeople and administrators. Among these groups, it’s essential that your IVR prioritizes new patients in the system. A clear and direct roadmap through your directory is key to usher new patients towards your services. An effective phone tree might begin with the simple greeting of “Hello! You’ve reached X facility. If you’re a new patient looking to book an appointment, press 1.” Don’t bury their options! By minimizing confusion, you maximize the chance that a new patient completes their booking and shows up in your waiting room. New patients are generally happy to navigate a well-organized phone tree; but if the initial automation goes on for too long — or the options they care about are buried too deep — there’s a substantial chance they’ll hang up before they ever reach the receptionist. Even for returning patients, a lengthy phone tree can be inconvenient and irritating. As HoldCom points out, your IVR should only include the most essential information; by limiting the number of menu options, you actively improve your patient’s ability to navigate your system. People lose patience with an automated message after as little as 30 to 45 seconds, so make sure you direct them to the right extension or department within that timeframe. 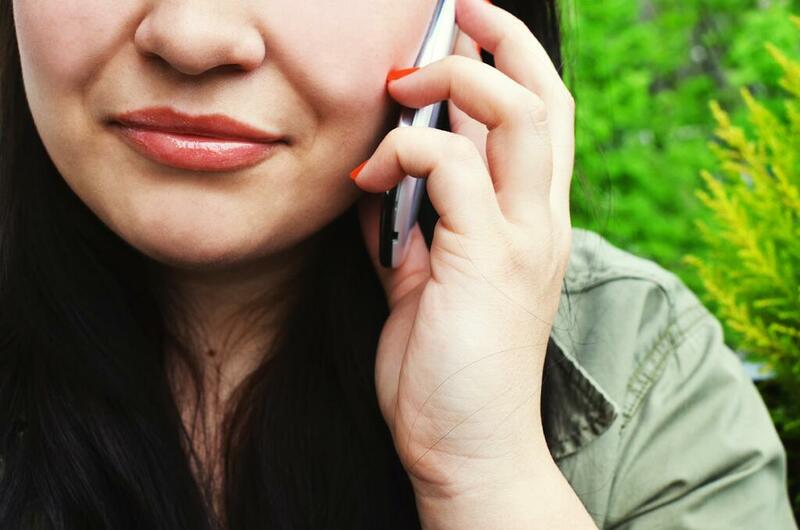 If your greeting lasts longer than a minute, there’s a good chance a caller will lose patience and simply hang up. The concept here is pretty simple — when a new patient calls, you want to make sure they know exactly who you are. To that end, your IVR greeting should immediately assure callers that they’ve reached the right place. On a broader scale, both your brand and your marketing materials and messaging must be cohesive and coherent across all platforms, from desktop to mobile. Meanwhile, essential contact and business info (e.g. office hours, primary services, and phone lines) should be prominently displayed on your website, social media pages, and Google My Business listings. Say, for example, that a potential patient has done some research on a doctor they’d like to work with. If your website’s branding heavily features that doctor, your IVR greeting should reflect as much: rather than saying “you’ve reached X facility,” it should say “You’ve reached Dr. Smith’s office.” As rudimentary as that sounds, this consistency is absolutely essential to prevent first-time callers from simply hanging up the phone.